With the busy back to school season, it gets super busy. I find that it is a time when my husband and I work best as a team and get more organized. After all, summer is a time to be spontaneous, relax and lay back. A way we make life a lot easier is to plan ahead, plan and discuss meals plans and execute them. One of our go-to dishes we plan for are pasta dishes. It is wholesome, warm and can be packed with protein, cheese and veggies. It’s an all-around way to get most of the food groups in! I’ve put together 21 Perfect Pasta dishes in a Foodie.com collection that are perfect for lunch, supper and even left-over lunches! My good friend from Sober Julie made this delicious recipe–Mac ‘N Cheese Cups! It’s a childhood favorite and not only will you enjoy it but, your kids will too. I love the fact that it is so portable and can be packed for an easy school lunch or after school snack. They are simply perfect and can be made ahead of time to help with the bustle! Garlic Lemon Pasta with Roasted Shrimp. This is definitely a nice Friday night dinner or a perfect date night pasta dish. It would be amazingly paired with a white wine and any seafood lover will love it. Even kids with a more sophisticated palate, this dish is sure to please. 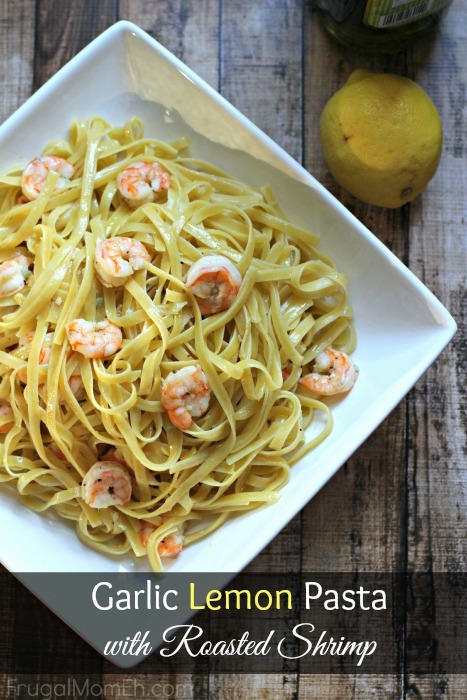 Frugal Mom Eh hit the nail on the head with this delicious Garlic Lemon Pasta recipe. This is a kid-favorite and a family favorite. This recipe is easy to make, so easy that my eldest, Gabby made this dish herself. 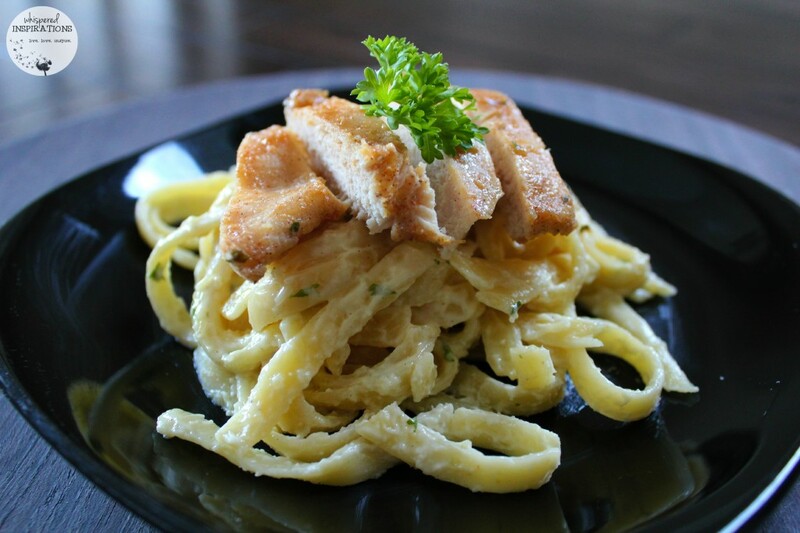 An easy alfredo sauce that rivals some of your restaurant favorites! The chicken is flavorful and you can bet everyone at the table would be satisfied. Try this recipe, here. With garlic and bacon. You can’t go wrong, Julie from Sober Julie has done it again! 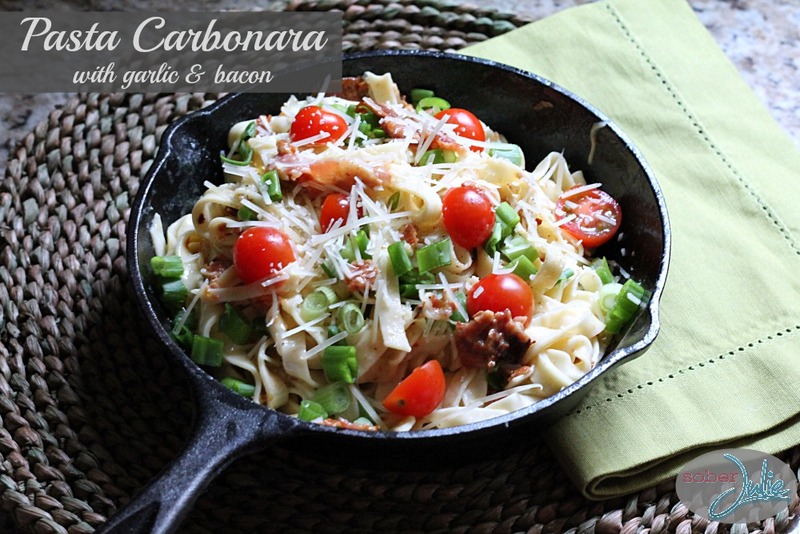 Bacon, scallions, tomatoes, cheese and more! A hearty dish that the whole family will love. Check out this recipe, here. Pasta dishes are an easy way to make it through back to school and everyday routines. A fast and versatile way to feed your families. What are your favorite pasta dishes? My pleasure, I am making the cups this week. Thanks! These are great! My guys would love the Mac'n'cheese cups! It's only 9 a.m and I'm drooling over the Pasta carbonara…. Gotta check out the rest of the pasta collection!! I love my pasta dishes, so easy to whip up and you can always add and change it up, now my hubby on the other hand is really not a pasta person, but he is sweet enough to eat whatever I make! Aww, that is a great hubby. We love pasta here! Great recipes, going to make up some of the Mac N Cheese Cups for lunches next week! We love pasta going to try some of these for sure! I love pasta dishes and there are some great recipes collected here, gives me some new ideas for supper so thanks for sharing. These ALL look amazing! Pasta is perfect for the colder months because it fills you up! Oh my gosh, all of the recipes on the page look delicious! I've bookmarked it! 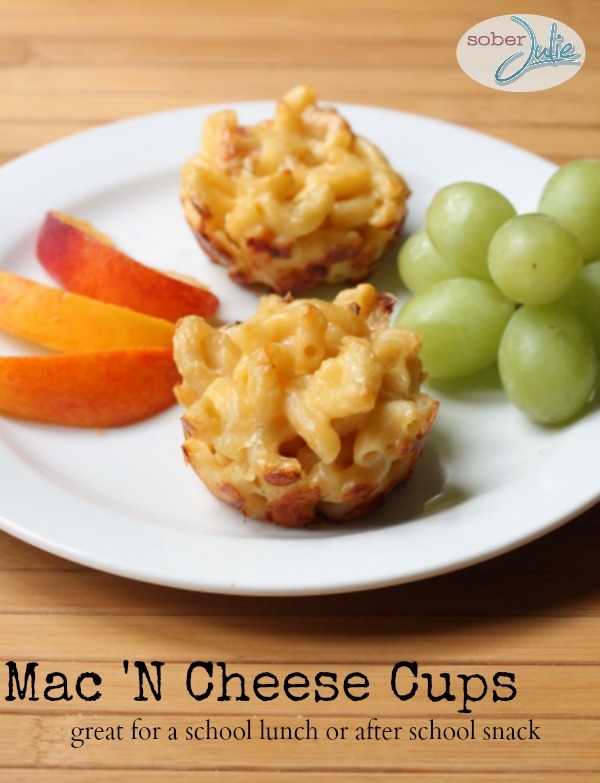 The mac and cheese cups look really good and something the kids would enjoy too!! The Mac N' Cheese cups are genius! My kid would love this.. as would I! We really enjoy pasta dishes because the kids without any fuss!